In our opinion, everyone should have one suit, or dress, or garment that is made entirely for them. From the buttons to the fabric, we should all possess at least one piece of sartorial elegance in our wardrobe. However, the choice to dive into bespoke suiting or tailoring isn’t the easiest for everyone to get behind. If you are still weighing the benefits of investing in your first bespoke suit, keep reading. Attention, attention and more attention. Attention to detail and attention to YOU. The cut of the suit is vital to comfort and elegance. And in the hands of the right tailor, the focus will be on highlighting the uniqueness of the body and uniqueness of one’s style. With your bespoke tailored suit you are making an investment in a uniquely created piece that will exactly fit your size and shape. A bespoke suit gives you the guarantee of comfort while at the same time being able to showcase yourself in a custom suit, made just for you. Starting the Creation of Your First Bespoke Suit? The experience begins with a consultation where a tailor aims to get to know you, your preferences, and your style. A bespoke suit means infinite options, which you discuss together at each stage of the bespoke suiting process. Every tiny aspect of your suit must be considered from the choice of lining, to pockets, lapels, buttons, cuffs and even thread color and stitching choices. Considering the style of your suit, whether to go for a classic cut or a more modern, fitted-style is a must. Often times, a tailor will (or should) offer a style guide where you can view a range of styles from 2-piece and 3-piece suits with a handful of custom options. American – This has a box style and very little definition. Sadly, the quality and attention to suiting in America is lacking and it shows. Another reason why making custom suits in San Francisco is something we couldn’t not do. Saville Row – Made famous in the UK, introducing made-to-measure suits to the masses, by Gieves & Hawkes. These suits began to focus on highlighting the wearer’s figure and stylistic preferences. Italian – This style of suit is for the man who wants to showcase his shape. It tends to fit very neatly. Cut, crisp, and clean. Athletic – This is the more modern styled suits we see nowadays. Tending to be mass produced and can be awkwardly fitting if the wearer’s build isn’t quite the silhouette offered. Having possibly exhausted sartorial knowledge, the next step, and a vitally important one, is the choice of material. With an enormous selection of the world’s finest fabrics to choose from, selecting the right fabric for a custom suit can be overwhelming. The selection of material should not be underestimated and your tailor, with their knowledge and expertise, should play a big part in helping you choose depending on the occasions it’ll be worn in, the way you want it to feel, etc. Finally, when your tailor has all the information and measurements required, they can get to work on cutting patterns. This is cut is unique to you and your measurements. In addition, this is where the skill and craftsmanship of the tailor is shown. Once the work has begun on your very first bespoke suit, several fittings may be necessary to ensure that the suit is fitting you properly along the way. 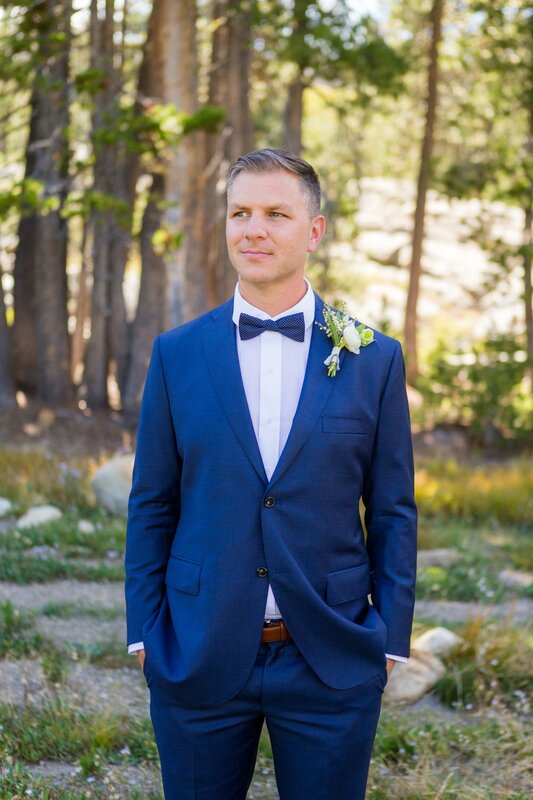 WIth a trusted tailor, you often times can sit back and watch the tailor transform your choices and personal measurements into a well-crafted and uniquely-designed tailored suit for you and you alone. After the suit is pieced together, adding accessories is the next step and a fun one at that. Adding luxury neckties made with high-quality fabrics and unique patterns or pocket squares to accent the color of your suit fabric are only a few ways to add more of your personality to the suit. If you’re looking for your very first bespoke suit, visit the TAILORS KEEP site today to get a glimpse at the amazing suits we’ve had the pleasure of making. From custom wedding suits to tailored suits for everyday use, we’ve got San Francisco’s suiting needs covered!